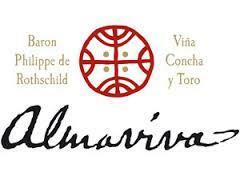 Almaviva is the name of both winery and wine born of the joint venture between Baron Philippe de Rothschild and Viña Concha y Toro. It is also that of Pierre de Beaumarchais' character, the "Count of Almaviva" in his Marriage of Figaro, a work Wolfang Amadeus Mozart later turned into one of the most popular operas ever. The classical epithet, laid out in Pierre de Beaumarchais' fair hand, shares the label with insignia of pre-hispanic roots symbolizing a union of European and American cultures that at every level has created successive bonds over centuries that have evolved a unique identity. The recent synthesis of French tradition and American soil has delivered an exceptional wine embodying the best of both worlds, a Primer Orden that really shines. Wine Spectator 93"Nice alluring aromas of cocoa powder, cedar and currant preserve - this is admirably ripe for the vintage - with well-structured plum sauce, graphite, loam and spice flavors moving through the fine-grained finish. Cabernet Sauvignon and Carmenere. Drink now through 2013."